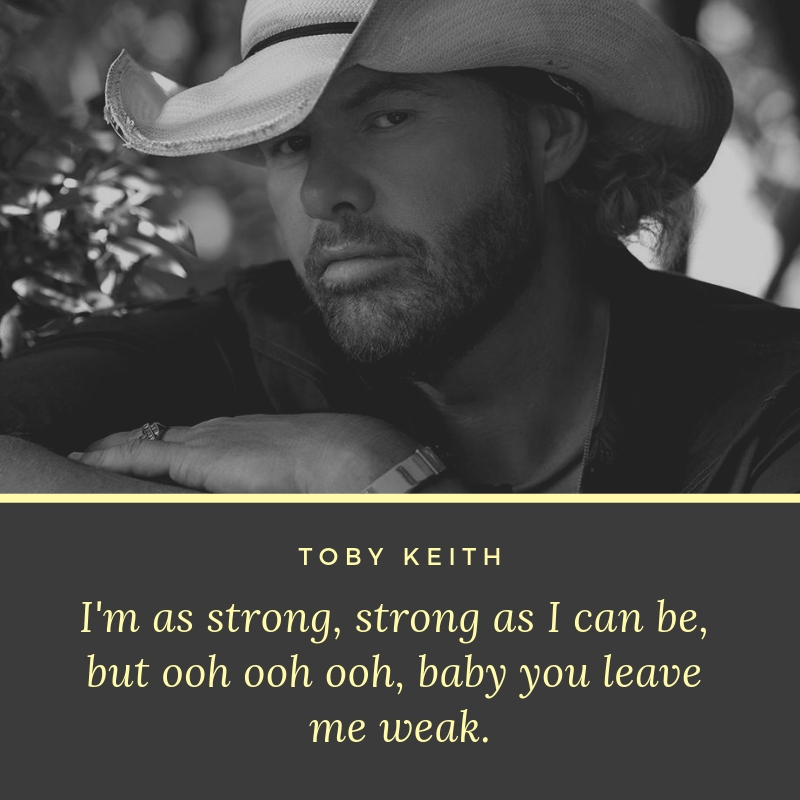 Toby Keith Covel, also known by his stage name Toby Keith, is an American country singer, songwriter, record producer, and actor. 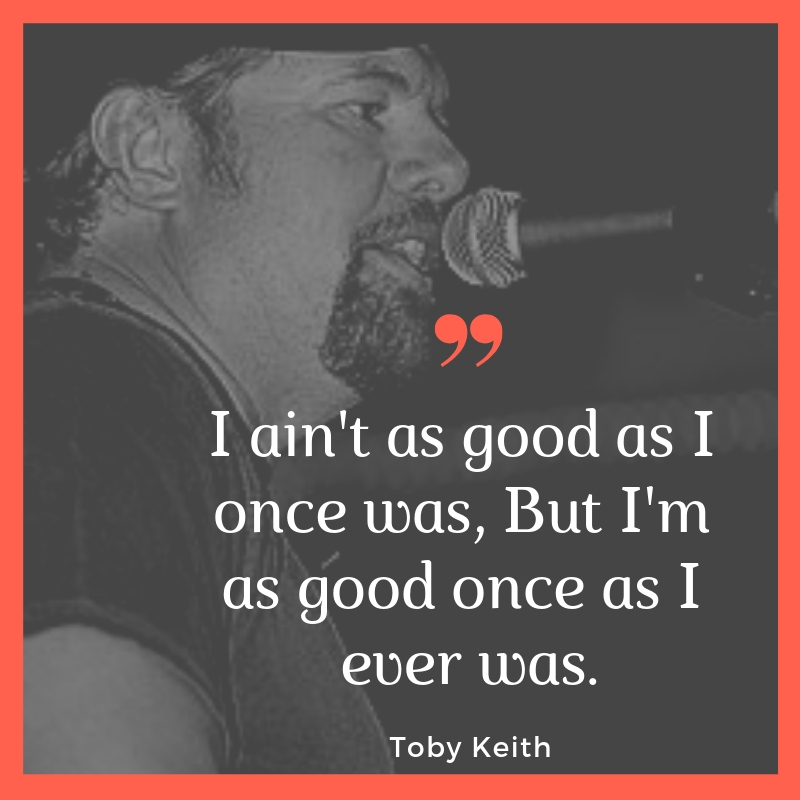 Over the course of his stellar musical career, Toby Keith has released 19 albums, two Christmas albums, and five compilation albums. He is also one of the most inexhaustible singers in the country music scene for he knows how to put on a very good show. I ain’t as good as I once was, But I’m as good once as I ever was. 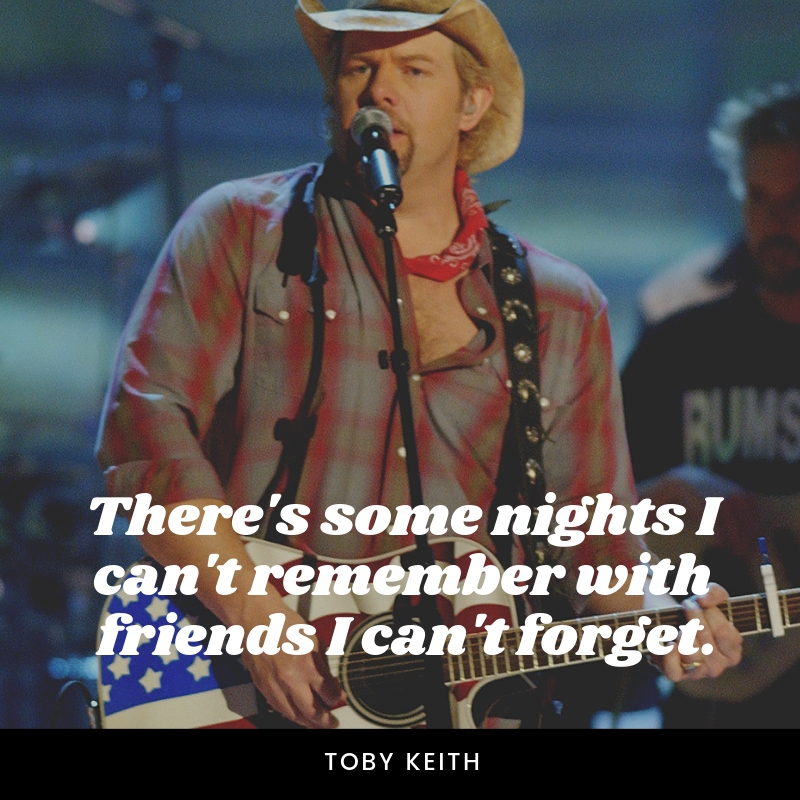 There’s some nights I can’t remember with friends I can’t forget. We ain’t got a lot, but we don’t need anything. Covered in kisses, surrounded by love, showered with blessings from up above. 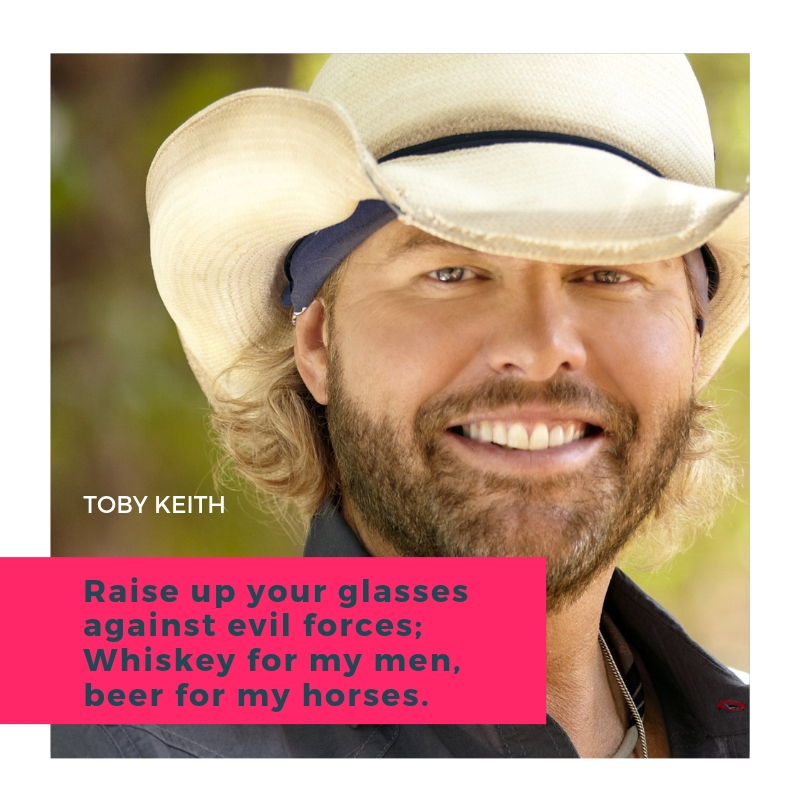 Raise up your glasses against evil forces; Whiskey for my men, beer for my horses. 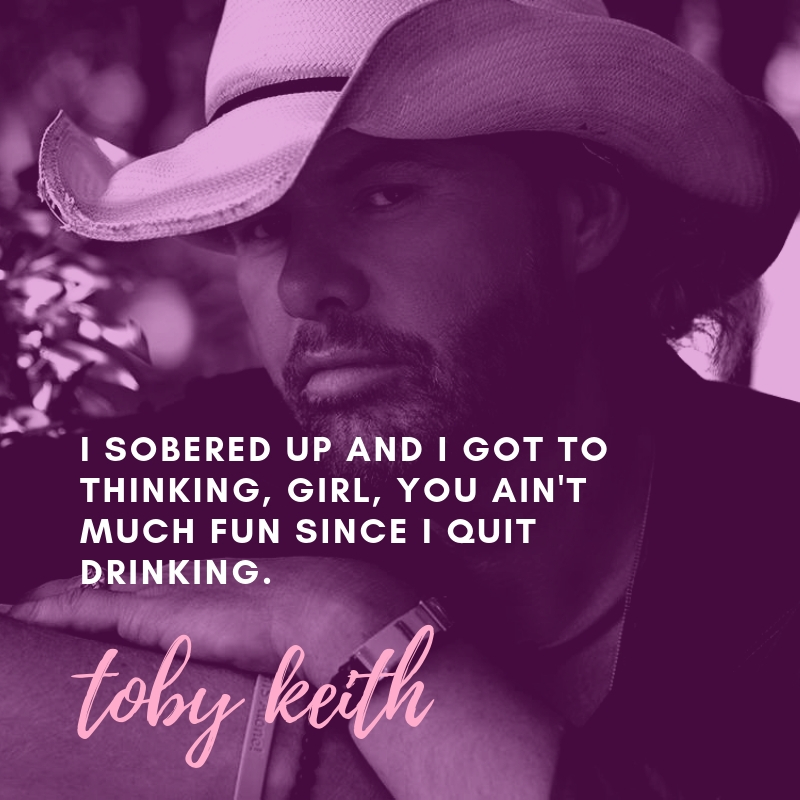 I sobered up and I got to thinking, girl, you ain’t much fun since I quit drinking. 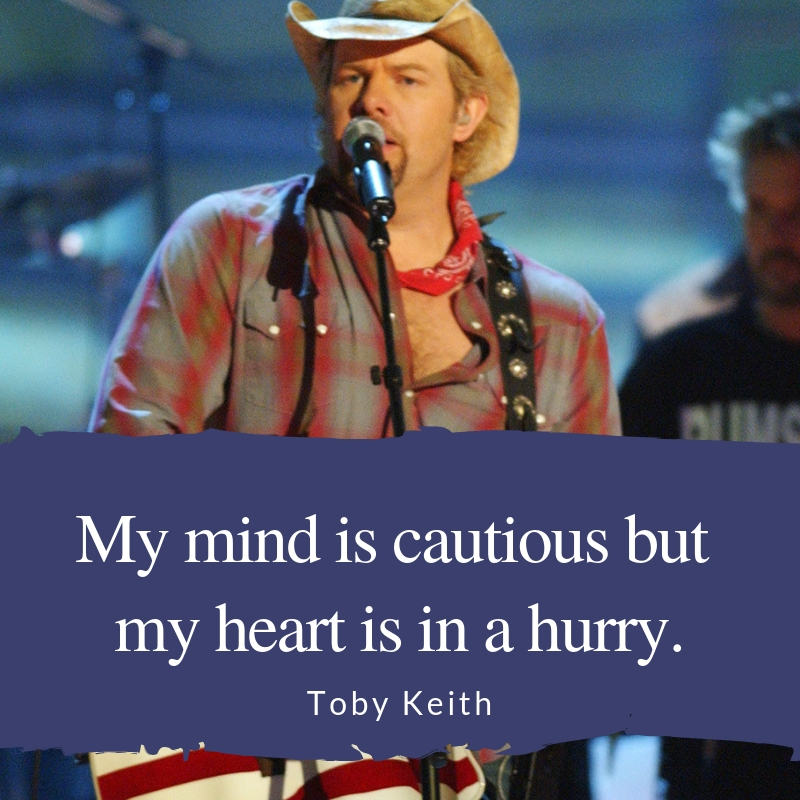 My mind is cautious but my heart is in a hurry. 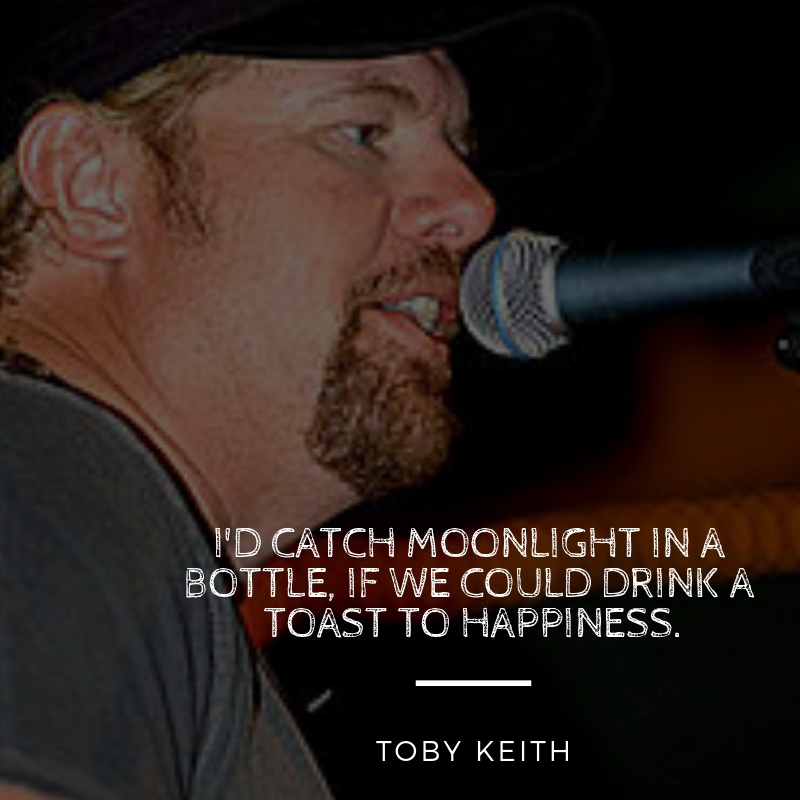 I’d catch moonlight in a bottle, if we could drink a toast to happiness. I’m as strong, strong as I can be, but ooh ooh ooh, baby you leave me weak. Writing songs and looking for ideas is like blinking my eyes. It’s an involuntary muscle. I do it without thought. 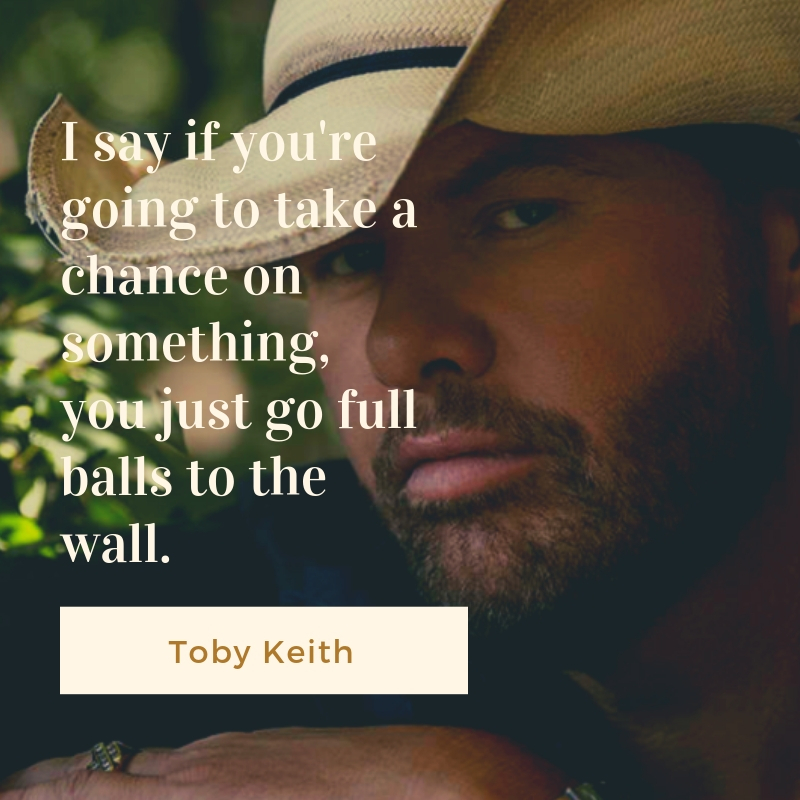 I say if you’re going to take a chance on something, you just go full balls to the wall. 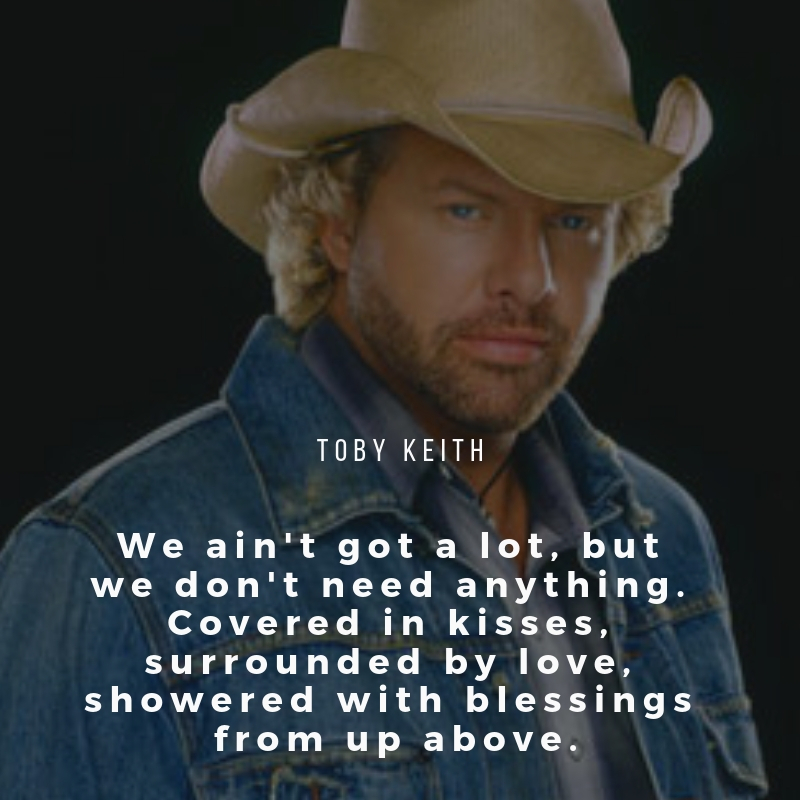 Toby Keith is one of the most famous country music artists that you can count on to come up with honest and inspirational quotes. 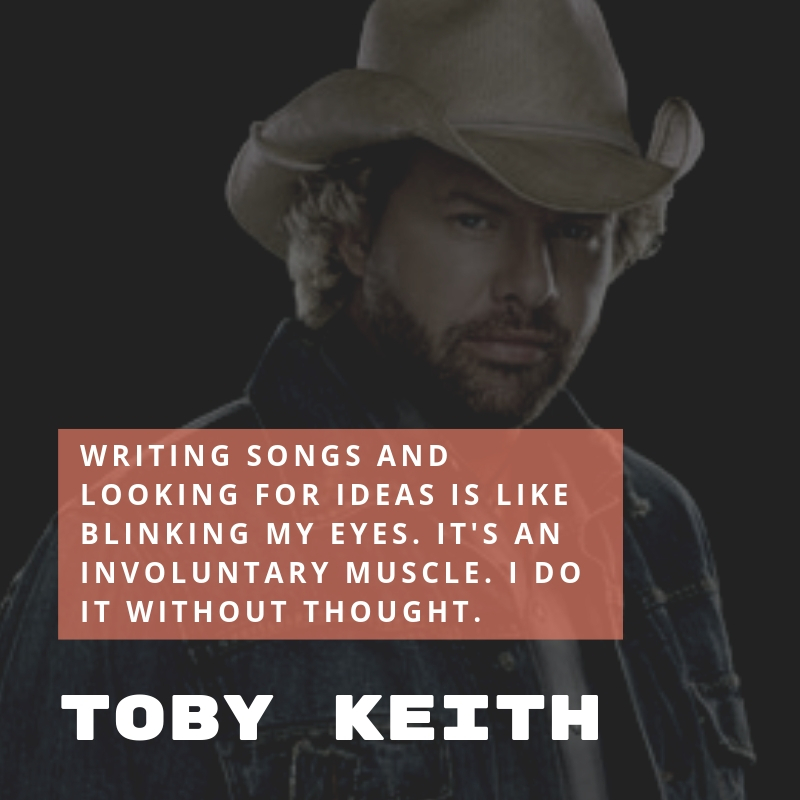 If you are a fan of Toby Keith, you will certainly enjoy reading these 10 quotes that we have collected for you.